In the days leading up to the writing workshop, as I planned and packed (and wasted time worrying about how I would be away from the nursing baby for a week), I envisioned the chance to spend a week writing as a world apart from parenting. No requests for snacks, no cries for milk, no laundry to fold, no meals to prepare. For a few precious days I would get to be a Writer, not a mother-who-occasionally-writes. Because not only was my writing shot through with my children and my identity as a mother, and not only did others around the table bring poignant and painful reflections on their own roles as parents, but the very craft of writing we worked to hone returned us time and time again to the early years of the parent-child relationship. 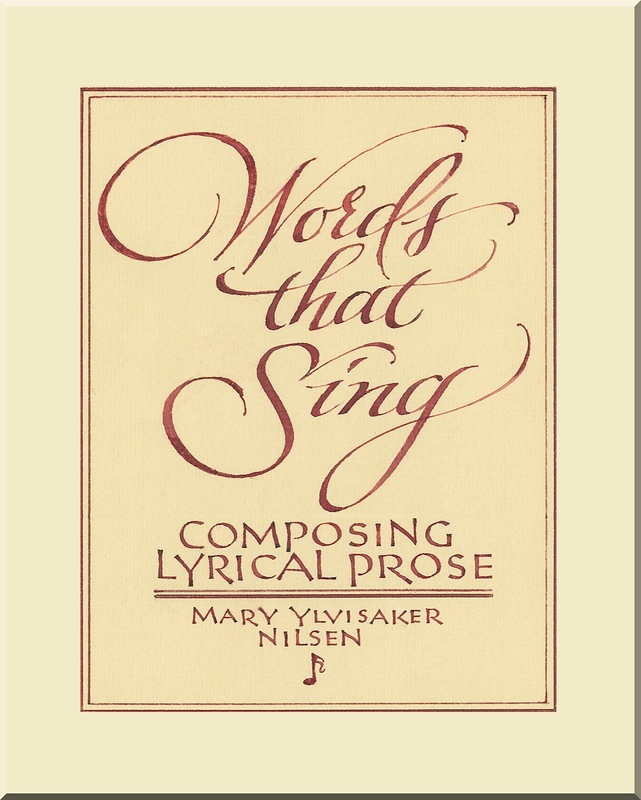 Words That Sing: Composing Lyrical Prose, our teacher Mary explained how our basic sense of rhythm, the cadence that carries our sentences, was set by our mother’s heartbeat: the steady thump-thump-thump we heard for nine months in the womb. Turns out the reason we love music with a good beat is the same reason we love favorite authors: rhythm. Whether or not we are aware of rhythm when we read or write, we understand it innately. A sentence either works or it doesn’t; it sings or it falls flat; it soars or it stumbles. Which is why balanced sentences appeal to us on a gut level: “It was the best of times; it was the worst of times.” Because the comfort and constancy of our mother’s heartbeat is still thumping somewhere deep in the recesses of our minds. And rhythm’s not the only part of writing that goes back to mother. And it’s the same reason we equate “big” with importance. The small child sees their parents, bigger in size, as having power and control. So as we grow, we don’t think twice about calling something “a big deal.” Our body never forgets the early experience of spending years looking to something physically larger than ourselves as the most important influence in our lives. Weighty stuff for writers to remember. How can the metaphors and rhythms we use evoke deep responses in the reader? But equally powerful for parents, too. The fundamental way my children begin to learn about the world is through their experience of me. Fascinating, says the writer in me. Terrifying, says the mother. Gorgeous, rhythmic writing and deeply important thoughts. Thanks! What a powerful, insightful piece. You were lucky to have Mary Nilsen as your workshop leader. How beautiful that you identify the sources and connections in your writing. So lovely. Thanks for linking up the trackbacks from my blog where I linked this post!